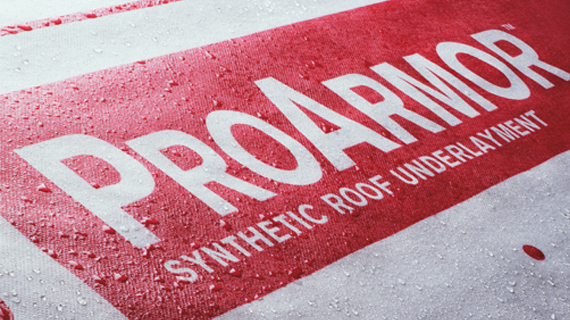 WHAT IS UNDERLAYMENT AND WHY IS IT IMPORTANT? Asphalt felt paper is very common and has been around for a really long time. It is made up of a cellulose base, which is typically recycled paper products, and then it is soaked in asphalt or “tar” to make it more durable. Because of the way that it is manufactured and the materials used to make it, this underlayment also tends to be a cheaper. However, it is only water-resistant and not waterproof. It commonly comes in two styles: 15 pound or 30 pound paper. 15 pound paper is the thinner of the two making it less durable on the roof, but very cost effective. Thirty-pound felt is more resistant to damage during installation of the roof-covering material, and will protect the roof longer if it should somehow become exposed to weather. The difference is obvious, once you see them together. Thirty-pound felt is much thicker and stiffer. Various types of rubber-like materials are also used as underlayment and are generally referred to as “rubberized asphalt” or “Ice and Water Shield.” These typically have adhesive on one side, which is protected by a peel-off membrane, making them self-adhering. The rubber-like qualities of these underlayments make them self-sealing, meaning that they seal well around fasteners, such as staples and nails. This type of underlayment is very common in states that experiences large amounts of ice and snow. In southern states like Georgia, we tend to put this around the perimeter and anywhere else that may be prone to high water traffic. Synthetic underlayment or non-bitumen synthetic underlayment, are woven or spun from either polyethylene or polypropylene. While the ingredients are similar, the manufacturing process and thickness of each type of underlayment can be fine-tuned to produce different properties, such as exposure time and walkability. Synthetic underlayment is lightweight and durable. Like some other home wrapping materials, it is tough, breathable and extremely difficult to tear. That combined with the adhesive backing insures that there are no tears in the underlayment and it is safer for crews on the roof. We prefer to use synthetic underlayment because of it’s durability and for the simple fact that it is a better product. Though it is more expensive it is a better investment in your biggest investment, your home.